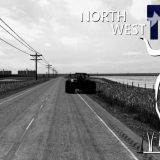 Are you a bit disappointed because you cannot find the particular mod for your FS19? Don’t lose hope, we introduce you to our Farming Simulator 2019 Other Mods category, which is a mixture of all files which do not match other topics. 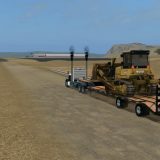 If you miss some functions or specific tools in your game, Landwirtschafts Simulator 19 Other Mods should solve your problems. Look through our suggested files and you will definitely something useful for your case. Pay attention to the samples’ descriptions too – they can provide a lot of information about the specifications of the file. As every Other Mod Farming Simulator 2019 is different, it can be a little tricky to choose one. But no worries, if you are not satisfied with your decision, try another one. 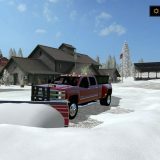 There are no limitations or payments – FS 19 Other Mods free files database is open for everyone who is interested. It’s amazing how much you can achieve by simply clicking on LS 19 Other Mods download. Exclusivity will provide you with some important advantages. Become the most successful farmer and show everyone that playing smart and being innovative pays off. There are no excuses for not giving a try – it’s a wonderful opportunity for everyone who seeks for more. What is better than adding whatever you need or like to your game without any boundaries? There is no need to wait for the upgrades year after year – you can implement changes right now. And most importantly, feel free to choose which features to include!